One week from today, Scion will take the wraps off a concept car that's a thinly disguised version of its first new production car in several years. 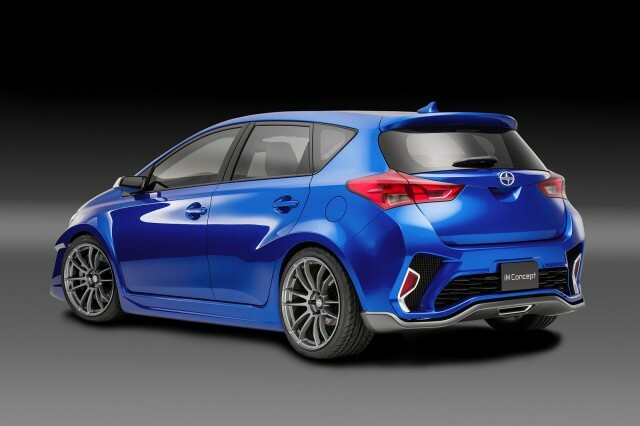 The Scion iM Concept, to be formally introduced at the Los Angeles Auto Show next week, is a compact five-door hatchback that's clearly based on the European Toyota Auris model. DON'T MISS: Struggling Scion To Get Mazda2-Based Sedan, Auris-Based Hatchback, In Future? 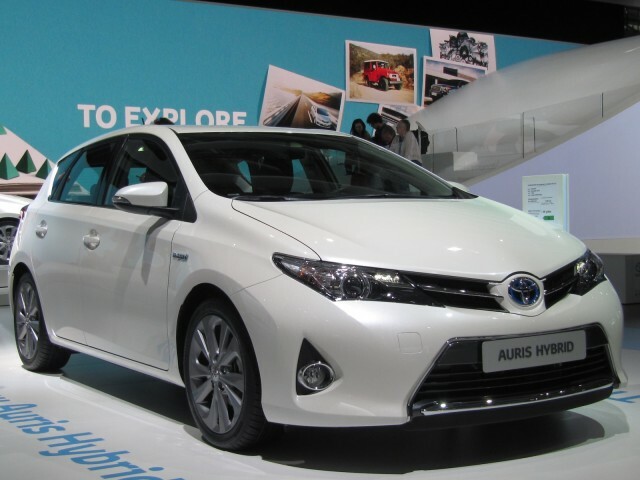 You can think of the Auris as a hatchback version of the enormously popular Toyota Corolla sedan, albeit with slightly edgier styling. Scion says the iM Concept offers "sporty looks inspired by those seen on the European touring car racing circuit," though it's unclear how much of its target audience will recognize that particular race series. Specifically, its press release cites the "edgy, geometric grille inserts" and its "deep air intakes," plus the requisite fog lights. The paint color, accented by gunmetal and matte silver, is called "Incrediblue." The usual concept-car dressings include 19-inch alloy wheels, low-profile sport tires, and what Scion bills as an "adjustable height racing suspension" that produces a lower ride height to compliment the "wide aerodynamics." The versatility of a five-door hatchback will give "young people" the means to "get them, and all their gear, to their destination in style"--while seeking "adventures off every freeway," according to Scion's marketing. Scion hasn't released any details about the engine offerings in the iM, though in Europe the Auris is offered with gasoline, diesel, and hybrid-electric powertrains. For the U.S. market, it seems likely that Scion will stick to a standard gasoline engine, though possibly fitted with the same new continuously-variable transmission (CVT) that's used in the latest Toyota Corolla lineup for the U.S. The current Scion lineup is now relatively ancient, with the core model--the xB compact tall wagon--now in its eighth model year after a 2008 launch. 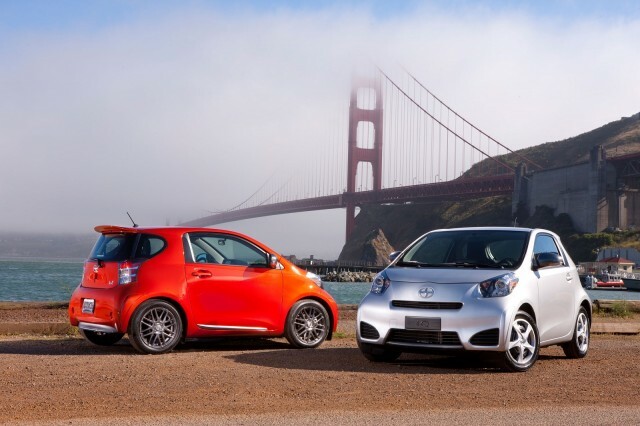 Scion's two most recent launches, the FR-S two-seat sports car and the iQ minicar, have both been low-volume models. The iQ in particular hasn't lived up to its sales projections, and Scion's other higher-volume model--the xD five-door hatchback--was launched for 2009, making it almost as old as the xB. In addition to the Auris-based iM, Scion is also expected to get a new and smaller sedan, the first-ever four-door with a trunk for the youth brand. That car would be based on the new Mazda 2 subcompact hatchback, production of which will start in Mexico next year. The Scion iM Concept will be officially unveiled next Wednesday, the first of two media days, at the Los Angeles Auto Show. "Stay tuned for more on how we will bring this vision to the road," according to Scion vice president Doug Murtha. But if we had to guess, we'd expect it to appear at Scion dealers sometime next spring as a 2016 model.